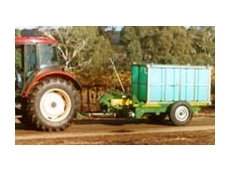 Australia Wide Trailer Rentals provides a complete range of trailers for hire. 07/07/08 - The specifications of the ‘Haymax’ Super Conditioner from Ashmore Engineering are a weight of 3.01 tonnes, height of 1.97 metres, length of 6.121 metres and width of 3.034 metres. 04/07/08 - Ashmore Engineering specialises in fabrication, welding and agricultural machinery.